Ready for some Disney fun? 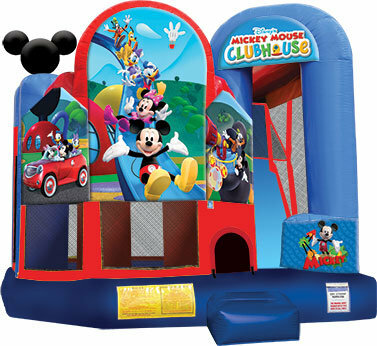 Mickey, Minnie and all their friends or on this awesome party inflatable. Has a bounce area, slide area, climb area and a basketball hoop loads of the party fun.